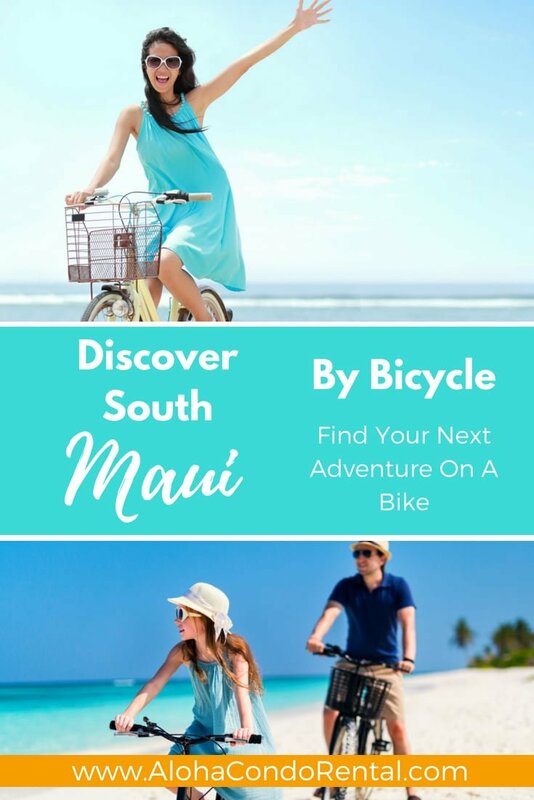 One of ways to get out and live like a local is to discover South Maui by bicycle. You'll be having a great adventure and getting to visit spots that you might not necessarily see if you're in your car. 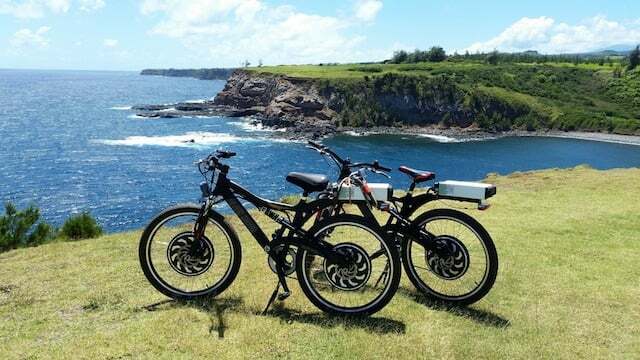 Bike rentals are available all over South Maui from north Kihei to south Kihei and the types of bikes range from beach cruiser style to electric bikes to road bikes. 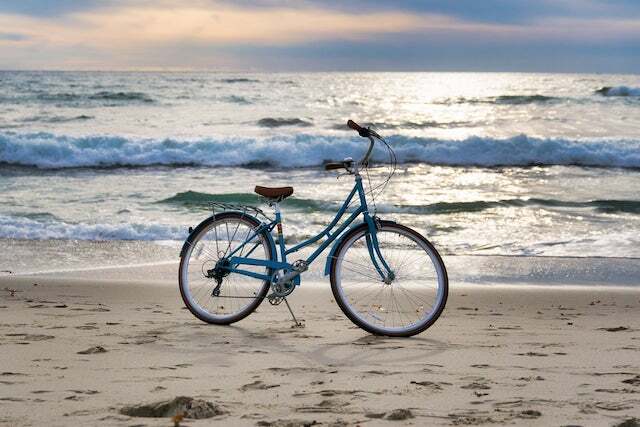 For the casual rider, a beach cruiser would be the way to go. 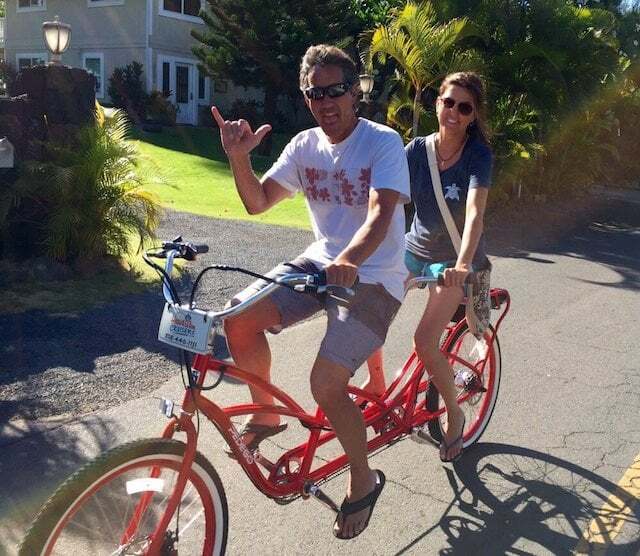 For as little as $20 a day, you can pedal your way around Kihei and really live like a local. 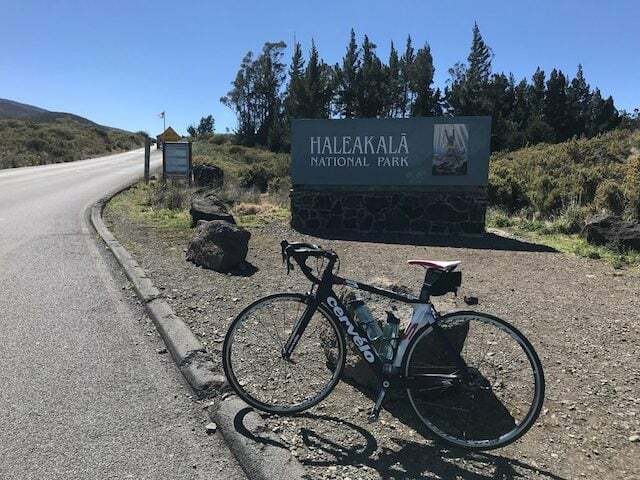 If you're an experienced cyclist you may want to look into renting a full performance road bike and take your adventure upcountry or to the west side. Monday - Saturday 10:00 am - 6:00 pm, CLOSED SUNDAYS. Monday - Saturday 9:00 am - 5:00 pm. CLOSED SUNDAYS. 1280 South Kihei Road, Kihei HI 96753. Monday - Saturday 9:00 am - 5:00 pm. CLOSED SUNDAYS. Pay close attention to your environment and heed local laws and etiquette. 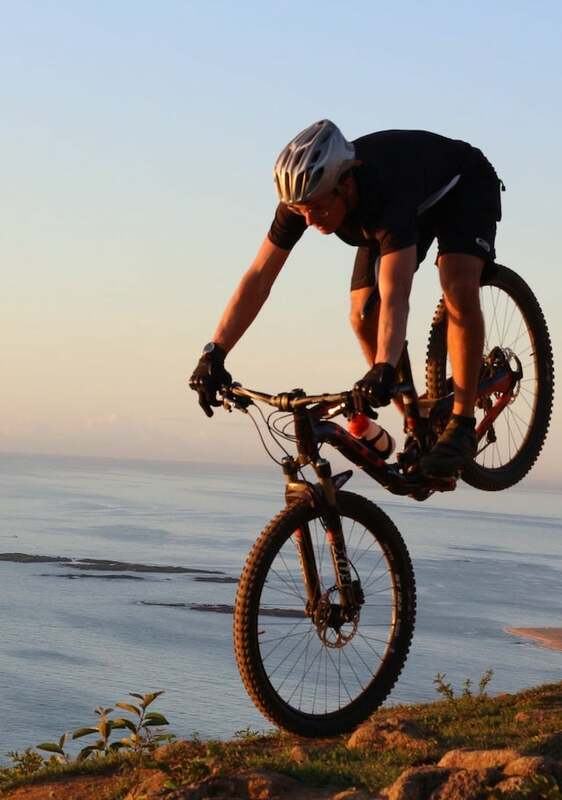 According to West Maui Cycles the following are best practices while riding in Maui. 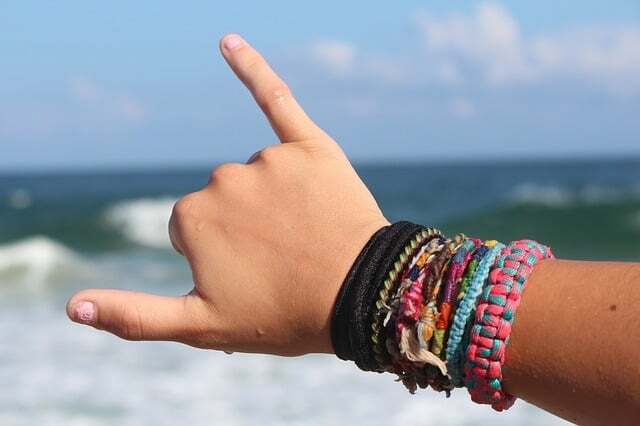 Throw a 'Shaka' to share Aloha! Make sure to take plenty of water in a reusable water bottle. Make sure to stop along the way and try out local food trucks, shave ice spots or ice cream. Respect local property owners and heed all 'No Tresspassing' signs. How far: 21 miles round-trip, about 1.5 hours. Route: Want to know what it’s like to cycle on Mars? After passing numerous resorts along Wailea’s coast, follow the bike lane south to enter a dramatically different world of dark, jagged rock — the lava deposits from the East Mountain Volcano (a.k.a. Haleakala) — that has remained unchanged for hundreds of years. The bike lane ends past Makena Resort, making the final stretch of the ride a little bumpy. But it’s worth the saddle sores to catch a glimpse of a dolphin pod around La Perouse Bay. According to MauiBike.org; "...bicyclists are required to ride on the right side of the road in single file. A bicyclist is allowed to ride in the center of the travel lane when the lane is too narrow for both car and bicycle to travel safely side by side. This rules applies even when the bicycle is moving slower than traffic." 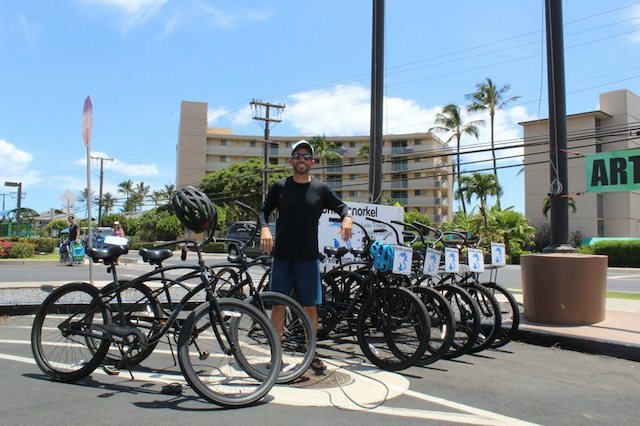 Hawaii’s bicyclists are considered drivers of vehicles. Bicyclists have most of the same rights and responsibilities as motorists. Auntie Snorkel is just a 5 minute walk from our condo! 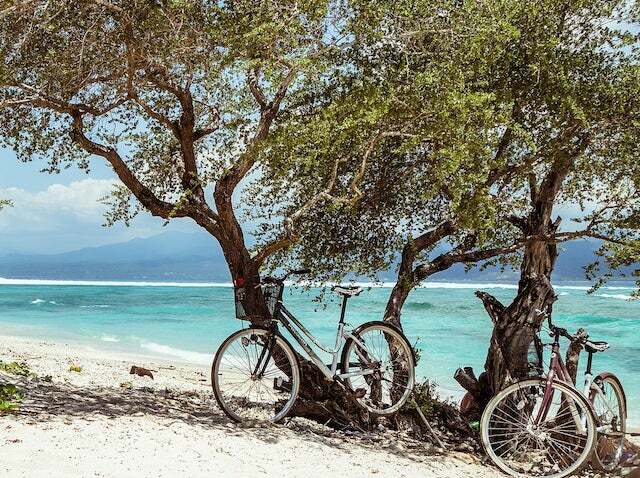 Remember to share the road, spread ALOHA and be safe! 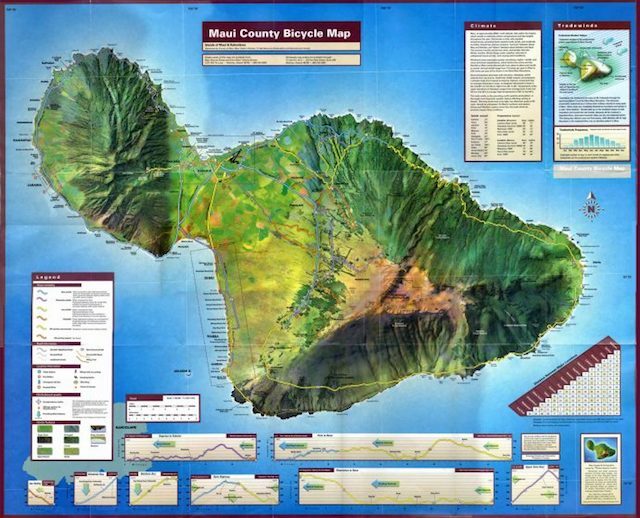 come on over and visit our Local Maui Guide or Maui Events Calendar!